Features. 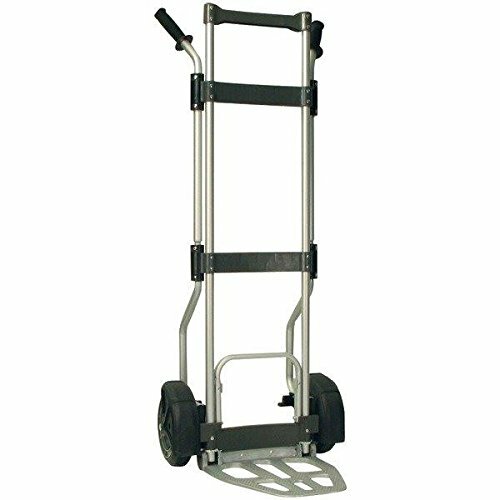 Portable foldable hand truck. Lightweight aluminum construction. Folds flat for easy storage. Lightweight alternative to heavier steel hand trucks. Nose plate Dimension - 12 W x 13 D in.x. Dimension - 46.15 H x 17.2 W x 5.4 D in.. Dimension - 4 L x 4 W x 1.75 H in.